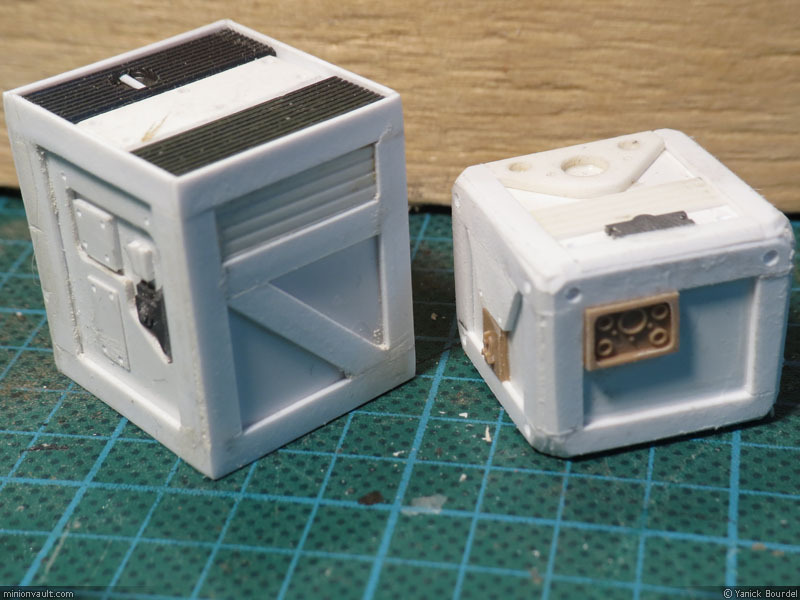 In this post, you will find photos of my (now) completed sci-fi crates. A bunch of sci-fi crates ready for the gaming table. Well, they are here!!! 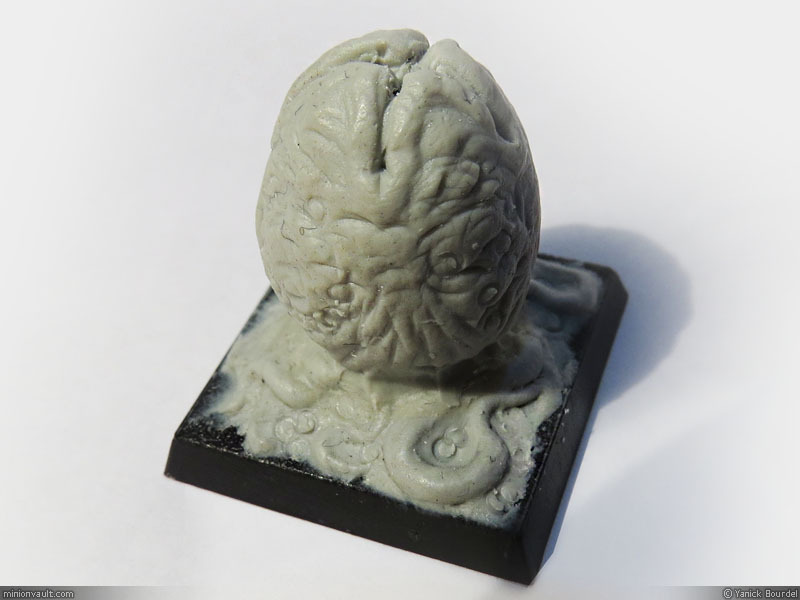 This is my attempt at sculpting a decent Alien egg and a scary facehugger for the gaming table. Crates by the hundreds (almost)! 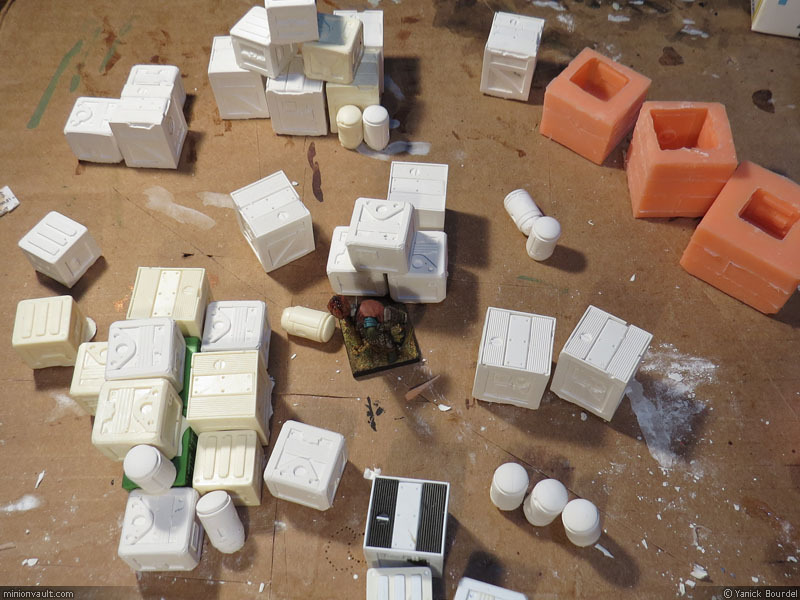 Quick update: I made moulds for my scratch build crates. I casted many copies both in resin and in plaster (a special plaster named ‘Dry-Stone’, which is a lot stronger than standard plaster). So far, I am pleased with the resulting pieces, although I have difficulties casting anything without air bubbles imperfections. 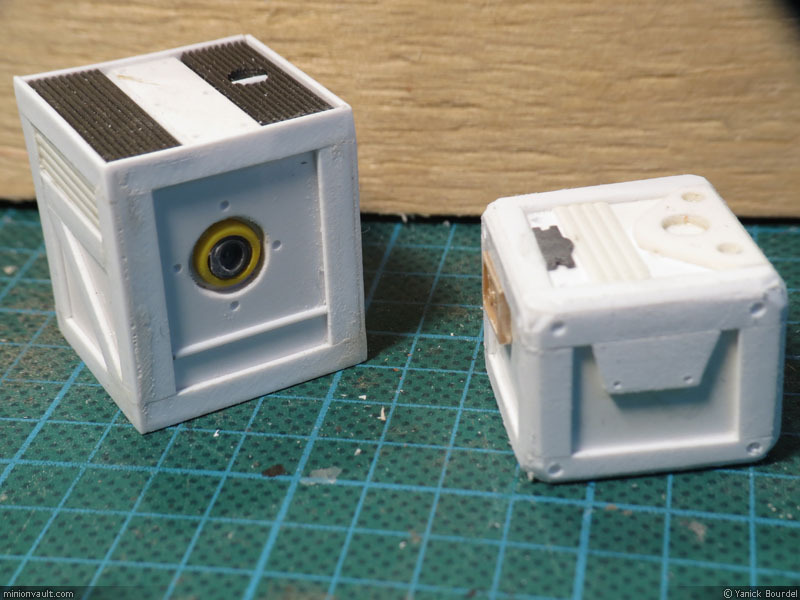 That’s not a huge problem: I will try to retouch the crates a bit using epoxy putty (for the resin ones) or wall filler (for the plaster ones). So the new year starts with… sci-fi crates. We are planing to test drive Savage Worlds RPG with an Aliens themed gaming session and I needed some props. 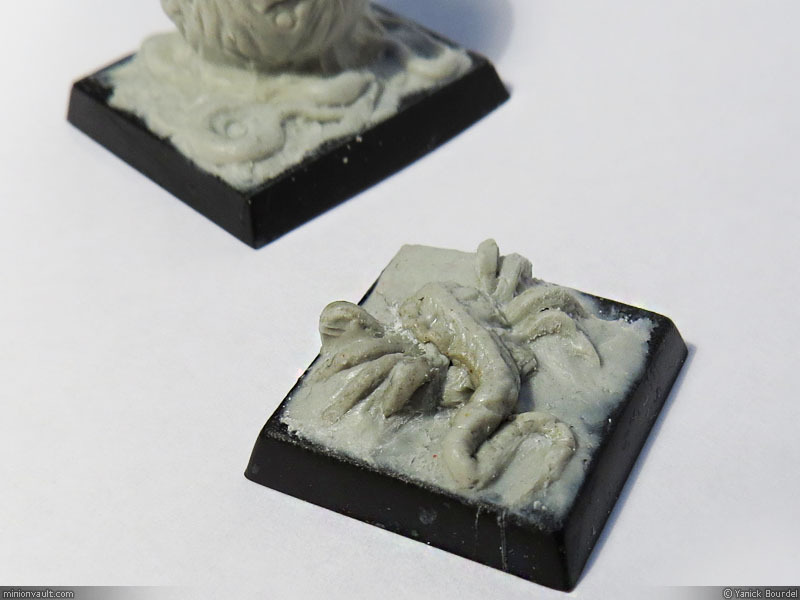 To be honest, I didn’t but I always wanted to do some custom Aliens Colonial Marines stuff in 28mm. 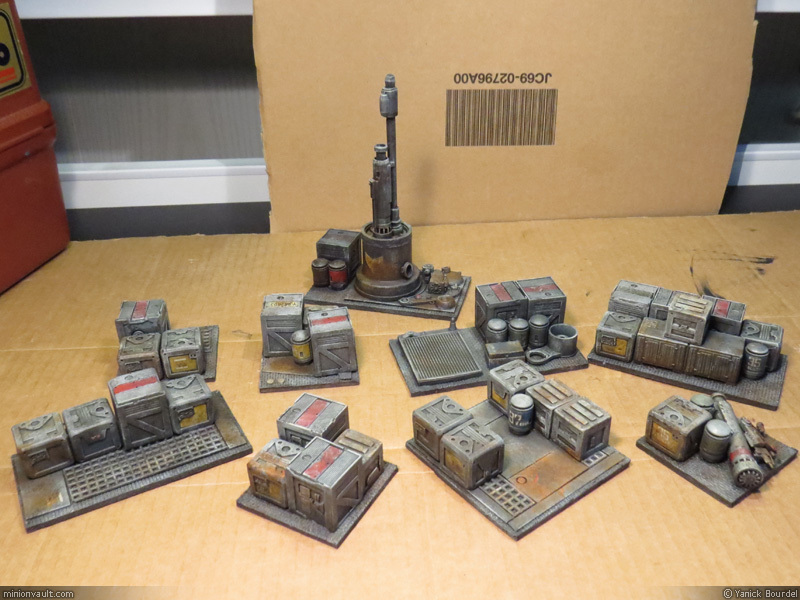 Nothing fancy: plasticard + pieces from different scale models from my bitz box(es). I am planning to cast these in resin, so stay tuned! Ok. Something very different this time. 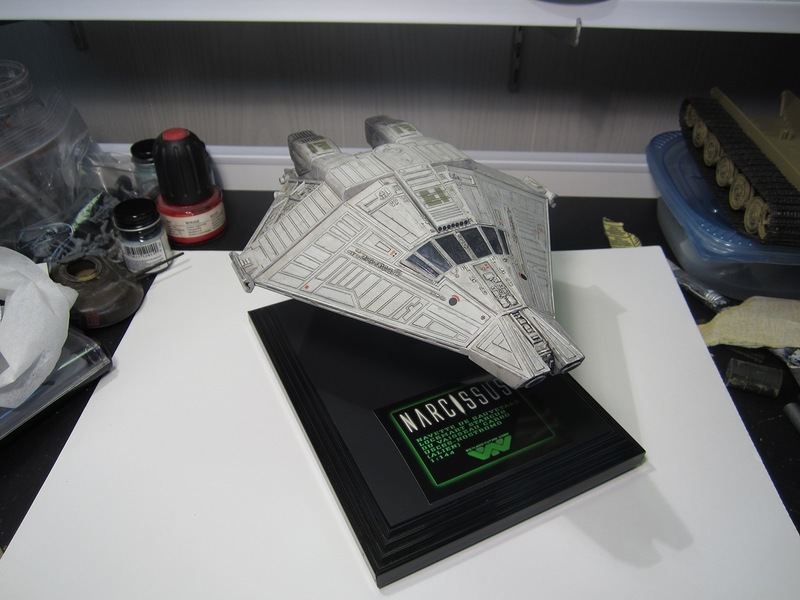 I decided to finish a model that a friend gave me a few… hum… years ago: a 1/144 Narcissus spaceship from the original Alien movie, a model sold by Alcyon eons ago.